We are flying to Australia tomorrow to spend some time with family and friends. It is so important to maintain these ties, especially as family members get older and the children also remember more. My grandmother, who turned 100 in January, is still happy and well, but it's always in the back of my mind that this time might be the last time I see her. I am not looking forward to the flight back though. 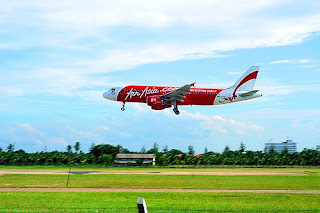 We usually fly Singapore Airlines direct to Sydney, which is superb but this time we are trying our luck with Air Asia from Kuala Lumpur to Coolangatta. The cheap deal was too good to refuse, even with the travel to KL. The only problem is that we have a three hour wait at KL airport before the Australia flight. There is nothing at KL airport so we will have to entertain ourselves. Luckily my kids love UNO, Go Fish and other card games, so it wont be too difficult. I hope the waiting game doesn't put them in a bad mood for the flight though, as it wont be luxurious. It is the first time we have traveled long haul on a budget airline, so it will be interesting to see how it compares. Lets hope we get some sleep so we can enjoy our day at the Gold Coast on Tuesday. I have a few things lines up for the blog while I'm away, including a great giveaway, so stick around and enjoy the ride!